The Samsung Galaxy Tab 10.1 will launch on Verizon in the coming weeks as the first of their 4G LTE devices to use microSIM (3FF) cards. 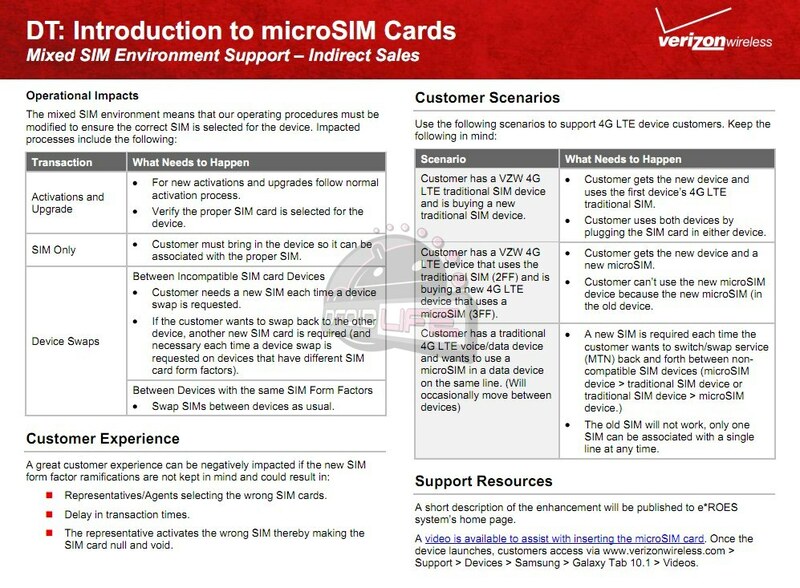 As far as VZW is concerned, there are no differences between regular (2FF) and microSIM cards aside from the size that they will take up in a device. 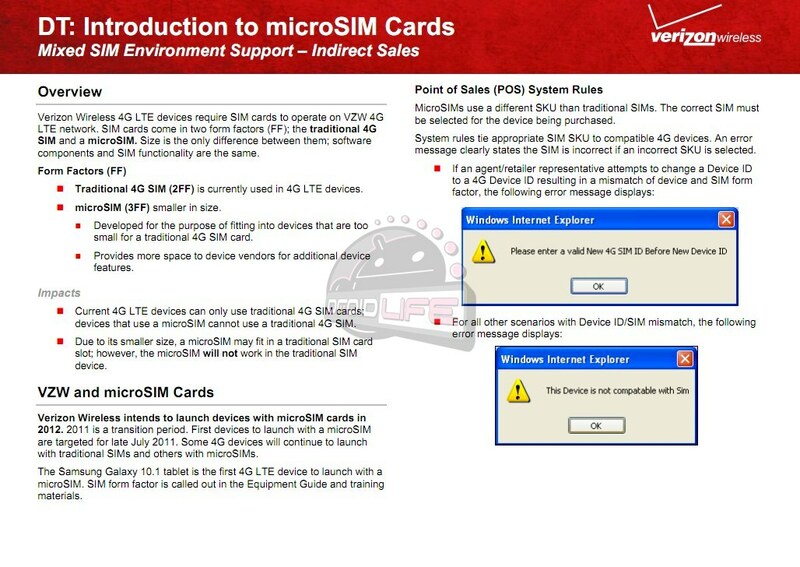 So as we start to see ultra-thin or small devices like the Gtab 10.1, we’ll continue to see microSIMs used throughout 2011 which has been dubbed a “transition period.” Starting at the beginning of 2012 though, every new 4G LTE on Big Red’s network will rock out with one of the little guys. And to those of us with a Thunderbolt, Charge or Revolution – we’ll be stuck with the regular (2FF) cards forever, which isn’t a big deal. Just know that while a microSIM may fit in your Tbolt, it won’t function at all. So don’t let anyone try to insert one into your device.